1930’s London – A backstreet saga full of hopes, dreams and the fight for survival. Perfect for the fans of Rosie Clarke and Lindsey Hutchinson. 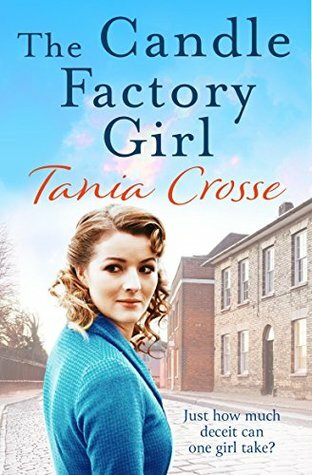 Work at Price’s Candle Factory in Battersea is tedious for intelligent, seventeen-year-old Hillie Hardwick, but she knows she is lucky to have a job at all. Her home life is no better, as she constantly battles with her exacted and bullying father in order to protect her mother and five younger siblings from his tyranny of abuse. Set in a time where women and girls did not have much say in their lives. It was acceptable to leave school at 14 and go to work. And that is what Hillie did. Much to her own dismay. She works and must turn her paycheck over to her father, who in turn physically and verbally abuses her on a daily basis as well as her mum. Hillie doesn’t understand why her father does this. Why he hates her so much. She just wants out. And in her desperation she makes a choice she may later come to regret. This story of families, secrets, hardship and life in the 30’s was a little sad, but ultimately seeing Hillie free herself allows other girls to stand up to their overbearing parents and grab the life and love that they want. Thank you ☺️ You’ve done a great job with your blog…it has definitely blossomed. Hope you have a great weekend.